Shiny Mega Meganium in game: 8 Who? Important notice! Pokemon Shiny Mega Meganium is a fictional character of humans. 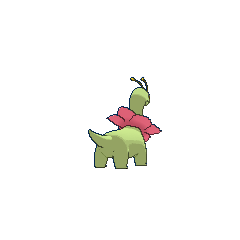 It is said that Meganium's petals can release an aroma that can soothe anyone that comes in contact with it and can calm aggressive feelings, and its breath has the power to revive dead grass and plants. Its powerful and soothing regenerative powers can even come about by being around it, giving those who stand near the impression of being in a clean and lush forest. Meganium tend to be a very docile species and has been portrayed as a peacemaker in the anime. 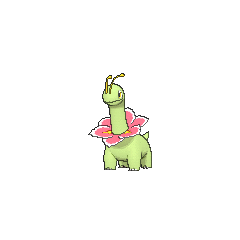 Meganium can rarely be found living in grasslands. 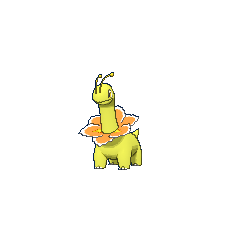 Casey's Bayleef evolved into Meganium sometime before Here's Lookin' at You, Elekid!. Ash's Bulbasaur had a heated battle with Vincent's Meganium in Tie One On!. Vincent also used his Meganium to help save Raikou in The Legend of Thunder!. An Officer Jenny from Gulpin it Down! had a Meganium on her squad. A Nurse Joy in Odd Pokémon Out had a Meganium, which became the object of affection for both Ash's Grovyle and a wild Tropius. A Trainer's Meganium battled in a qualifying match for the Silver Conference in A Claim to Flame!. A Coordinator's Meganium appeared in Dressed for Jess Success! participating in the Battle Stage of the Lilypad Contest. A Meganium appeared in the opening scenes of Zoroark: Master of Illusions. EP261 Meganium Ash's Pokédex Meganium, the Herb Pokémon. 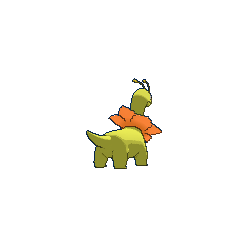 Meganium have the ability to fully restore dried up plants and bring them back to life with its breath. AG161 Meganium May's Pokédex Meganium, the Herb Pokémon. 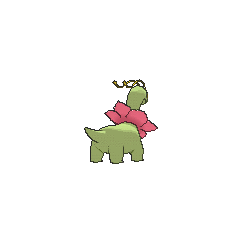 Meganium's breath has the power to revive dead grass and plants, and the fragrance emanating from its flower petals could soothe any angry, hostile emotions. 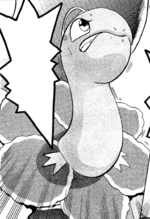 In the Pokémon Adventures manga, Crystal's Megaree evolved into its final form in a battle against Lugia. 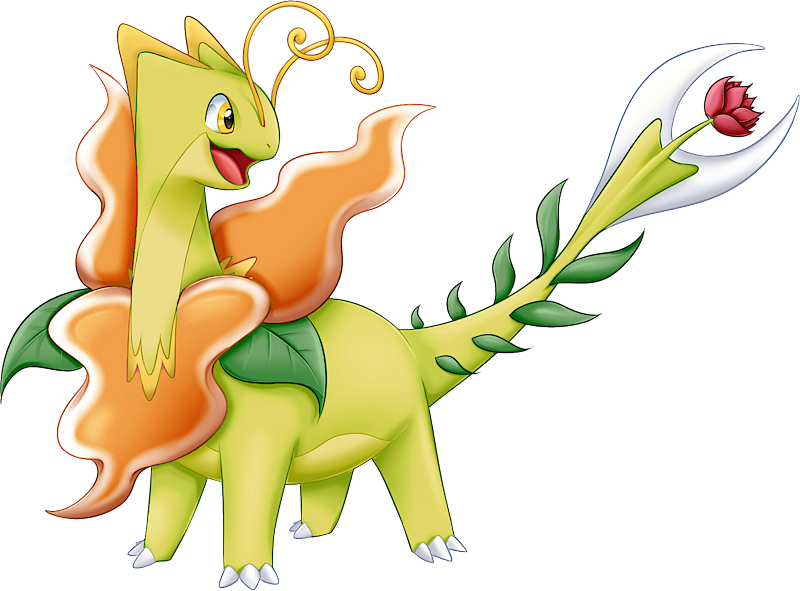 Ultima also owns a Meganium, which she uses in the FireRed & LeafGreen chapter. Meganium and Venusaur, along with their respective evolutionary lines, have exactly the same base stats, with only their Defense and Special Attack swapped. 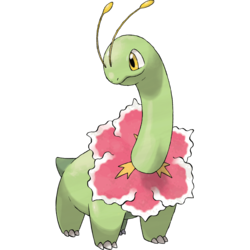 Meganium is also tied with Venusaur for having the lowest maximum stats of any fully-evolved starter Pokémon. This Pokémon has the appearance of a sauropod, particularly resembling an Apatosaurus, and its flowering counterpart may be a geranium, hibiscus or a titan arum. It may also be designed after the Hippeastrum.